Looking for a weekend getaway this season? 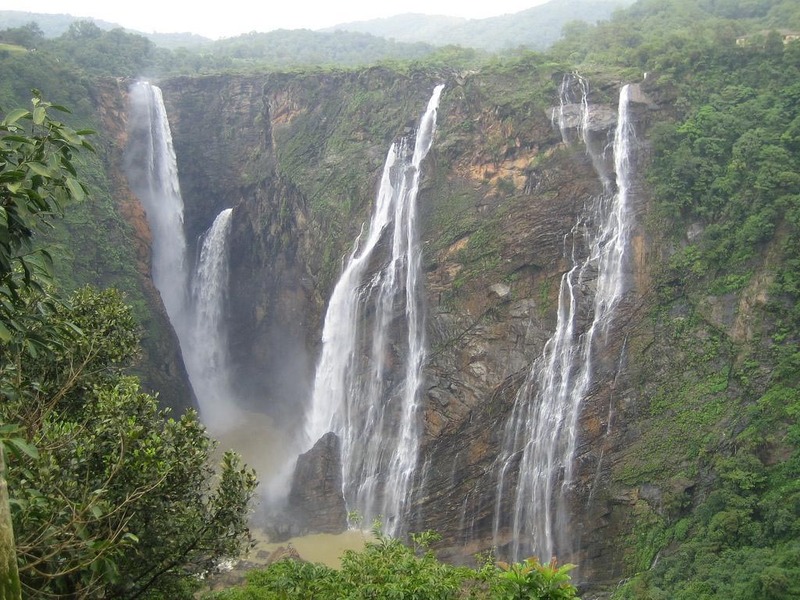 Pachmarhi (260 kms from Nagpur, Maharashtra) is a hill-station in Madhya Pradesh with many spellbinding sights. Looking for a weekend getaway this season? Pachmarhi (260 kms from Nagpur, Maharashtra) is a hill-station in Madhya Pradesh with many spellbinding sights to offer. But it is possible to miss out on some attractions, what with there being so many of them. We bring you a planned schedule to spend 48 hours in this beautiful location in the Satpuras. 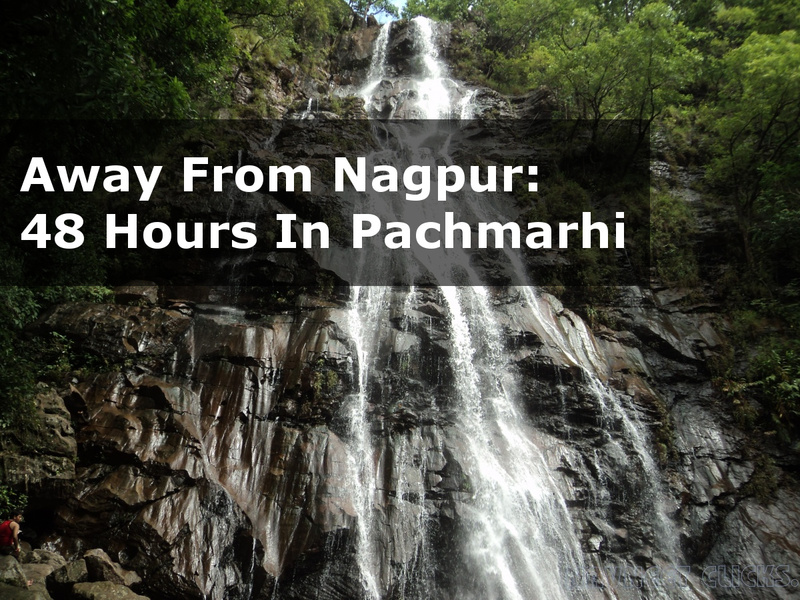 There is no railhead in Pachmarhi and Pipariya is the closest train station connected to Nagpur. From Pipariya, buses as well as taxis can be availed to reach Pachmarhi. Regular bus services are available from Nagpur, if you are comfortable with road travel. You can also hire private taxis from Nagpur. The fare ranges from Rs 6,000 to Rs 8,000 for a round trip. Leave on Friday night so that you reach Pipariya at dawn. Now let your trip begin. The ride from Pipariya to Pachmarhi is about 57 kms, depending upon where your stay has been booked (main city or a little on the outskirts). You can either shake off your sleep by enjoying the undulating valley or take a nap to make up for lost sleep on the train earlier, so that you are energised to enjoy the day later. Freshen up at the hotel. Some great cottages are available which also serve food, so you can have your breakfast there and proceed. Many Gypsies are available once you approach the main market area. You could also ask your hotel to arrange that for you. So once that is settled, do not waste a minute and set out for two amazing days. Visit the Handi Khoh Point. This is a 300-feet deep ravine in a V-shape, created between two gigantic hills. It is said that a British officer by the name Handi committed suicide by jumping into the ravine, thus giving the place its name. Picturesque beauty and green surroundings are the perfect way to begin your trip. You can also buy pinecones here. Bade Mahadeo: This cave is about 60 feet Long. Mythology says that Lord Vishnu incarnated as Mohini killled the demon Bhasmasur here. Large idols of Lord Brahma, Vishnu, Mahesh and Lord Ganesh have been enshrined inside. It is especially crowded by pilgrims on the occasions of Nag Panchami and Mahashivratri. Gupt Mahadeo: This cave is about 40 feet long. The path of Gupt Mahadeo goes from inside the Bade Mahadeo. There is a narrow path which leads to Gupt Mahadeo. 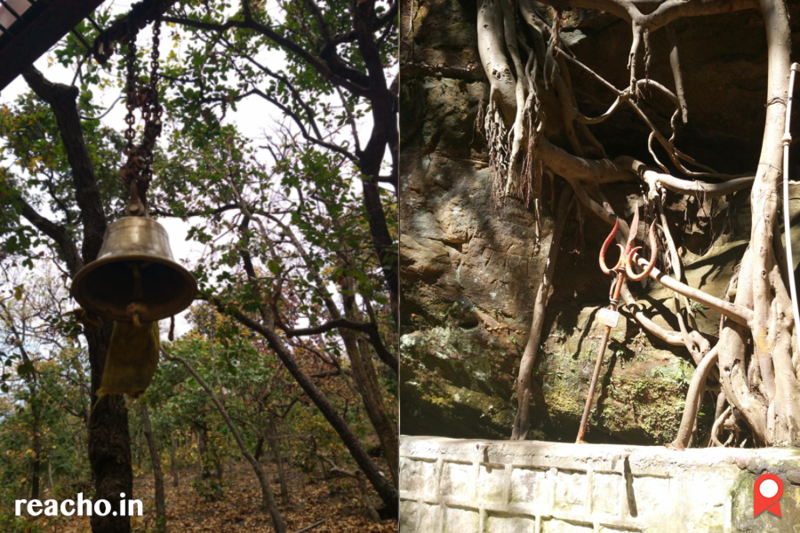 There are idols of lord Ganesh and Shiv ling inside the cave. Only eight persons can pass at a time. An idol of Lord Hanuman has been enshrined at the entrance. Its construction is such that it gives an appearance of a Fort. It has 3 entrance gates. It is surrounded by the hills from all the three sides. The entry to Ramya Kund is from the small passage of Reechgarh. The water continuously comes out from the Ramya kund. It is on the way when you go from Reechgarh to Chauragarh. A passage from Bade Mahadeo leads to Chauragarh, where a life-size Idol of lord Shiva has been enshrined. Large numbers of stairs, more than 1000 in number, have been constructed to reach the blissful seat of Lord Shiva. To reach Chauragarh, it takes around two to three hours to climb the 1200 stairs. 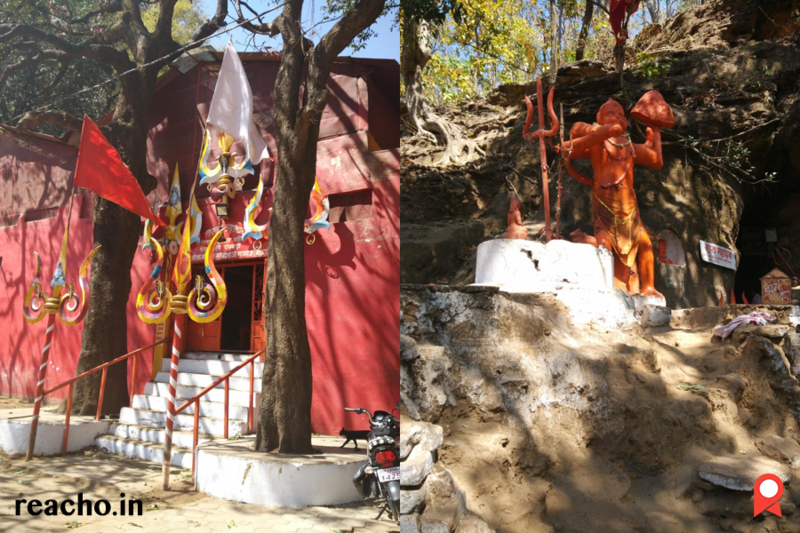 Large number of Shiva Bhakts climbs the stairs with enthusiasm to worship the Lord Shiv idol with heavy Trishuls as a gift in Chauragarh. But be aware of the monkey menace. Chauragarh is a huge climb so you get pretty exhausted after that. Take some rest at the hotel and freshen up before you set out for your evening ride. Dutch Fall is another beautiful waterfall in Pachmarhi. It is even more beautiful at the time of rainy season. You can go right up to the fall and see it up-close for yourself. You can experience the water droplets coming at you when you go close to the waterfall. It is a smaller version of Bee fall which is to be enjoyed fully on the next day. Here the people can experience their voice echo through the large mountains and valleys. The nights are serene and calm at the hills so you can enjoy some quiet time with your partner strolling along the meandering curves of the road to the main market. But if you are visiting in a group ask the hotel staff to organize an outdoor campfire around which you can sing and dance. 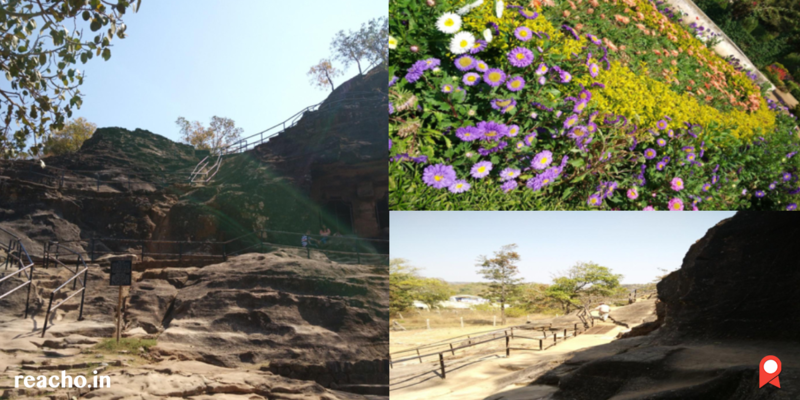 It’s weekend but Pachmarhi seldom allows you to laze around even a little bit and you can NOT have a not-early start. The place is named after the mythological belief that Lord Shiva shaded his matted locks here. It was a belief that when the Shiva wanted to hide himself due to the fear of Bhasmasur he rested at this place. There are about 108 Shiv lings formed naturally inside this cave. There is water opening in the cave but nobody knows about the main source. It is popularly known as “Gupt Ganga”. Large number of visitors comes here every year. The caves are filled with the sound of chirping of birds. A Shiv ling is enshrined inside the cave. Large number of pilgrims arrives here to visit this place during the festive season “Shiv Raatri”. Temperature inside the cave is very low. Upper part of the cave has a platform where idols of Lord Shankar, Godess Parvati and Shiv ling have been enshrined. It is a popular belief that the Pandavas spent their exile here. The caves are on a single flat surface,, some of them pillared. The caves have been built around 5 century A.D., earlier than the Pandavas’ Exile. Buddha Bhikshus used to do their mediation in these caves. Later after 300 years Hindu people found these caves. The caves has many inscriptions and look moist beautiful against sunrays. You can click many a profile pictures here against a picturesque background. A beautiful garden is also cultivated before it which has exotic flowers of many types. 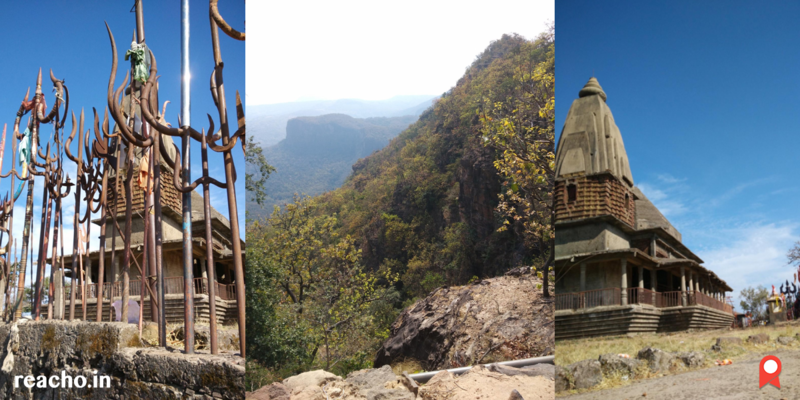 Dhoopgarh is the highest point in Pachmarhi. Earlier it was called as Harvatsa Kot. Visitors can enjoy the view of sunrise and sunset from this point. Dhoopgarh is 4429 feet above the sea level. Once you reach the top you wish to stay there forever. To see the sun rising and setting is a unique experience which cannot be told in words. It is basically for sunset but if you visit it early, you can manage more places in less time. Once you are done with all the main attractions you can visit the Catholic Church which is an architectural marvel and also has a lot of history associated with it. Since it is a quaint hill station you would want to leave at dusk and avoid the Ghats at night. So check out in the evening because the ride back to Pipariya is a good two hours, though you can visit the Amba Devi Temple on Begam Bazar road on your way to the station. And to end the journey you can board the late night train to Nagpur which will transport you back to town in no time so that you can be back to work fresh on Monday!